When you need a re-roof in the Beaverton area that’s made to last, trust in the expert roofers at Pioneer Roofers. Our technicians will carefully inspect your roof before proceeding. There are instances when a re-roof in Beaverton is the right choice and other times when a tear off is your best option. We know which will provide you with the most effective roof repairs depending on the condition of your roof. Depending on the condition and extent of the damage, we’ll help you determine if a re-roof in Beaverton is the right option for you. 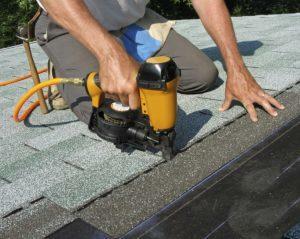 With experience performing re-roofs in Beaverton for more than 20 years, we’ll provide an efficient reliable re-roof. We use the best roofing materials with the longest warranties to match the incredible craftsmanship we exercise on every residential roof repair in Beaverton. If your current roof is damaged beyond a certain point, or you have already had re-roofing, a tear off may be your best and only option. Roofs can only be so many layers thick, and our roofing contractors will determine how may layers your roof has before giving a recommendation. Sometimes a tear off and roof replacement can be more economical in the long run as well. With labor costs accounting for a large percentage of roof work, it’s important to have the right work performed. Your roofing is in poor condition. You already have too many layers on your roof. The decking on your roof is bad. 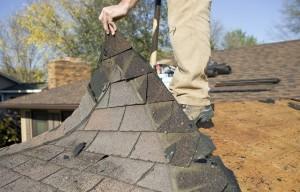 Your current shingles are incompatible with your roof. Tear offs in Beaverton are hard work. Our trusted professional roofers don’t just perform extensive re-roof and tear offs in a timely manner, we keep you safe. As professionals we understand and account for the hazards of roofing. It’s always our goal to save you time, money, and stress by providing the best roofing services in Beaverton. Whether you need a tear off or re-roof in Beaverton, call (503) 281-0305 or contact Pioneer Roofers today. As a great place to raise a family, Beaverton has seen extensive growth in the previous decades. The local city library offers many events and classes that are beneficial to both. Scheduled events include a writers group, technology classes, and even a song circle. Those looking to further expand their relationship with the community have to visit the Beaverton Farmers Market. Going strong since 1988, this local hot spot has produce from farmers and vendors throughout the area. As if fresh produce and local good weren’t enough, residents frequently get to watch free music acts playing at the market.